On Thursday, the Washington State Congress passed a historic tiny house bill, 95-0. It creates practical provisions for placement of tiny houses on wheels within community settings. Senate Bill 5383, sponsored by Senator Hans Zeiger, is far-reaching and multifaceted. Most importantly it legitimizes THOWs as permanent dwellings. One of the groundbreaking aspects of the SB 5383 is that it states that cities and counties should not, directly or indirectly, discriminate against consumers’ choices in the placement or use of homes, in such a manner not equally applicable to all homes. Though, it also removes liability risk from the municipalities. Also, the bill adopts basic safety standards, including the IRC Tiny House Appendix Q. 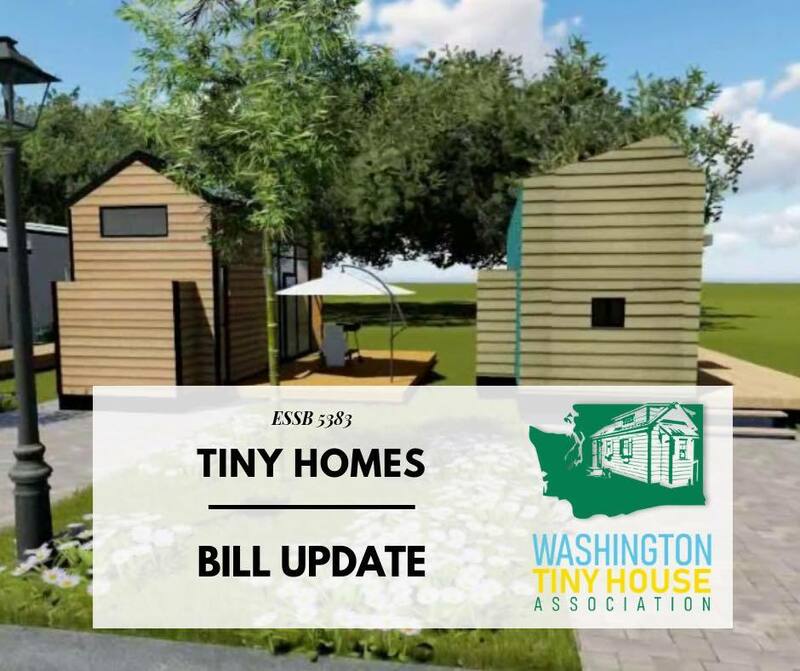 The Washington Tiny House Association was the grassroots advocacy leader behind this victory, made possible by the broad support from many state congressmen and the sincere dedication of Senator Hans Zeiger. As a final step, the bill is expected to be signed into law by Governor Inslee. From here, local advocates are setting their sights on the two other state bills addressing tiny house placement in urban and rural settings. These include THOWs and tiny homes on a foundation. Senate Bill 5382 : would allow for tiny houses as detached accessory dwelling units (ADUs) inside designated Urban Growth Areas. Senate Bill 5384: would allow for tiny houses placement in rural settings, like vineyards and farms, outside of Urban Growth Areas. Across Cascadia, high rents and home prices are leaving people behind. Local governments struggle to meet this massive challenge of politics and funding. In response, this year Washington state legislators are stepping up with a remarkably comprehensive suite of housing bills. Follow Washington Tiny House Association’s website and Facebook page for updates. My partner, Christian and I are traveling tiny house dwellers. documentary and community education project, Tiny House Expedition . able to share our exploration with all of you.